Online corporate training, also called e-learning, is a form of learning or instruction that takes place completely over the internet. It is a self-paced training that can be conducted anywhere in the world with a range of devices such as mobiles, laptops and tablets. Online corporate training has emerged as an important, cost-effective and business-critical tool to continuously educate employees. With online training, companies can easily train employees of any strength. Since courses are accessible online, the need to have an instructor to conduct trainings is completely eliminated helping businesses save costs. Moreover, employees can take these trainings, at their own pace, from anywhere and at anytime. Detailed reports and analytics help authors understand gaps in learning to improve training content further. Sometimes the difference between a "good" or a "bad" result may directly be tied to communication or the lack of it. 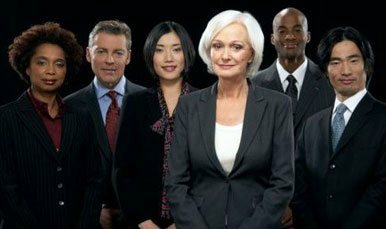 In today's global and highly diverse workforce, organizations who embrace strategies for effectively communicating at all levels are more likely to have employees who are highly engaged, motivated, and productive.This course will take you through various aspect of communication and the impact it can have at the workplace. Management is a critical part of any business; joining the ranks of the management team requires new set of skills beyond simply performing a task or accomplishing a goal. An efficient manager today must be equipped with skills to manage a diverse, talented, and mulch-generational group of professionals, often with limited resources, finances, and training. Having an understanding of the dynamics of successful management provides the new manager the opportunity to be successful in their new roles. This course is intended to introduce individuals, management and companies to diversity in the workplace. It guides on crucial strategies needed for planning and implementing initiatives that can drive innovative perspectives at the workplace. It also focuses on how the management must capitalize on the talents, skills and experience of a diverse work force. Reduces costs: One of the best advantages of online corporate training is that it actually helps reduce costs. It completely eliminates the need for on-site instructors as well as printed training materials. The upkeep costs of an online training platform are much low compared to face-to-face, traditional training. Anywhere, anytime learning: Online courses can be shared with an employee-base that is spread across the world who can access them on a range of devices such as desktops, laptops, iPads and smartphones making anywhere, anytime learning possible. Improves knowledge retention: The online medium offers an interactive setting that leads to more engagement which helps employees to improve their knowledge and skill sets. Employees get a chance to access interactive, reality-based scenarios, games, and assessments via training which allows them to effectively absorb the information and apply it on the job later on. Boosts employee productivity: It is proven that online trainings can greatly boost employee productivity. Employees who are better trained, well-informed about products and services, and have acquired the knowledge they need to on the job are automatically going to be more efficient. Such employees help to improve business image and bottom line in the long run. Understand why an increasing number of companies are investing in online corporate training. Learn some of the key benefits of conducting corporate trainings online. The role of a leader in any organization, regardless of how small or big, is of crucial importance. It determines how the team performs and how fast the company is able to grow. Learn why companies need to train strong and capable leaders.